Sure! With timely file delivery, we can have your project out the door, delivered and even installed same day! Do You Only Print Large Format Graphics? 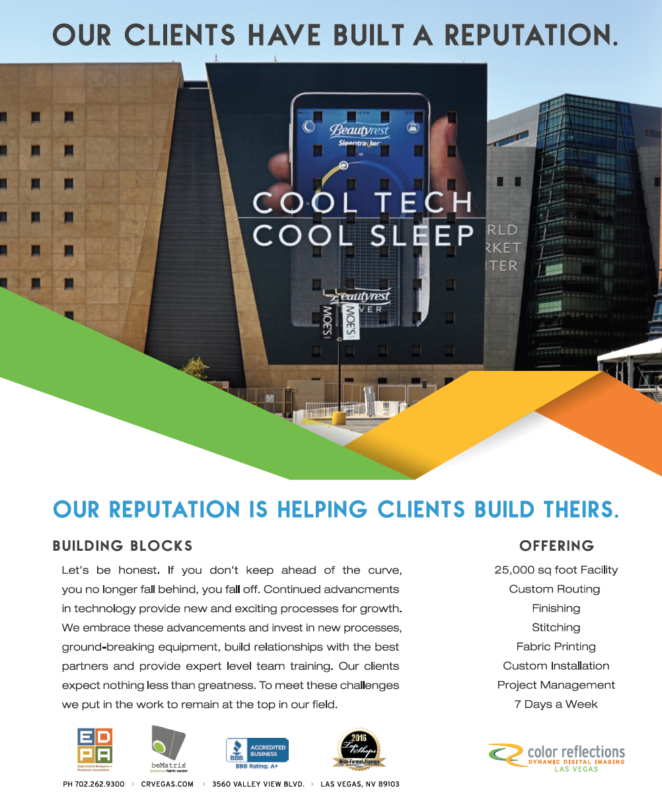 While we certainly specialize in large format visual communications, we have the in-house capabilities to print on just about any substrate or material from small POP signage to an entire building wrap! I Have My Graphics Now, How Do I Get Them Installed? We offer full in-house installation services! Just ask your representative for options, or fill out a quote request at the bottom of this screen. We’ll be happy to help! I Don't Really Know What I Need For My Trade Show Booth, Where Do I Start? Give us a call, we’re really good at this! We have many options for you, from complete trade show booth packages (which include equipment rental, graphics, delivery, and installation) to some of the most knowledgeable customer service representatives in the industry to help you figure this out! Give us a call at (702) 262-9300. I Need Multiple Graphics Produced And Installed In Multiple Cities All In The Same Day, Help! No problem! Through our close relationship with multiple international carriers and utilizing the capacity and reach offered by our 5 other locations, we provide drop-shipping service to many of the largest graphics consumers in the industry. We will print, deliver and install your projects anywhere in the world when you need them! My Organization Isn't Based In Las Vegas, Why Order Graphics There? Many of our clients aren’t based in Las Vegas! They’ve found the unbeatable quality, reliability and rapid turnaround we provide are second to none. Even with shipping, we remain competitively-priced, and ultimately, the only choice for their graphics, installation, and trade show needs.